(Devi Download) Evaluating Your Values. In this episode, Devi presences the importance evaluating your values in your life & business as a Spiritual Entrepreneur. You'll often hear of evaluating the value of a company or enterprise, but when was the last time that you evaluated your values? Your values and how you speak to and align with your client's values will greatly affect the market value of your company. Connect with Devi on her main website @deviadea.com . Have you ever thought about hosting your own podcast? 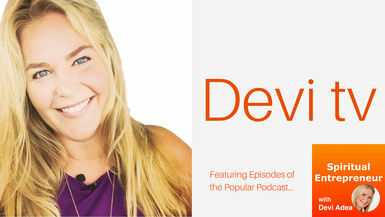 If so, we’d love to have you join us in Devi’s new online course, Podcast on Purpose. To get all of the details, visit PodcastonPurpose.com .